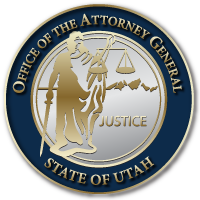 DAGGETT COUNTY, Utah May 5, 2017 – The Office of the Utah Attorney General (OAG) announced today that it filed charges against the former Daggett County Sheriff, Jerry Jorgensen, and several of his deputies for criminal misconduct involving inmates at the Daggett County Jail. The charges come after an investigation by the Utah Department of Corrections (UDC) Law Enforcement Bureau. The UDC received allegations of criminal activity being perpetrated by deputies at the Daggett County Jail which houses inmates for the Utah State Prison. After completion of its investigation, the UDC requested that the OAG review the findings of the investigation. “The alleged actions of at least one defendant constitute unbelievably inhumane conduct and a reprehensible miscarriage of justice and the actions of all the defendants are inexcusable,” said Attorney General Sean Reyes. The OAG Special Prosecutions Section charged former Daggett County Sheriff Deputy Joshua Cox with nine felony and two misdemeanor counts, including for Aggravated Assault, Transporting a Dangerous Weapon into the Secure Area of a Correctional Facility, Theft, and Reckless Endangerment. Former Daggett County Sheriff Deputy Ben Lail was charged with one felony for Aggravated Assault. Misdemeanor charges were also filed against former Daggett County Sheriff Deputies Rodrigo Toledo and Logan Walker for Official Misconduct. Last, former Daggett County Sheriff Jerry Jorgensen was charged with Misdemeanor charges for Misdemeanor, Failure of Sheriff to Safely Keep Inmates, Obstruction of Justice, and Official Misconduct. The numerous alleged policy and criminal violations uncovered throughout the investigation by UDC led to the removal of all Utah State inmates from the Daggett County Jail. Jerry Jorgensen has resigned as Sheriff and a number of the deputies have been terminated by Daggett County. Probable cause statements are attached below. This entry was posted in Recent Posts and last updated on May 5, 2017 .